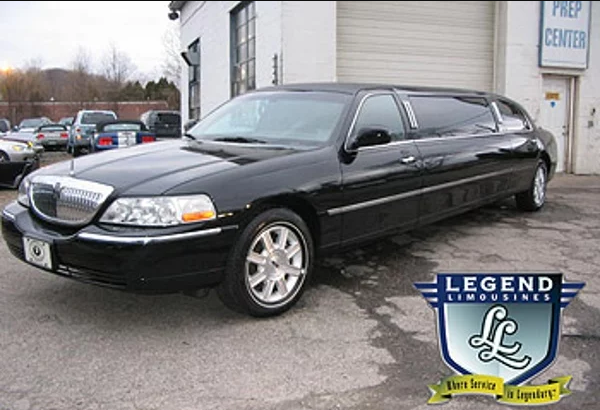 The most cost-effective mode of transportation for groups of 5-8 people, these vehicles are very competitively priced and provide a luxurious and cozy atmosphere for all passengers. Built by Krystal Enterprises; these vehicles feature solid-window construction on the exterior with LED lights at each end of the window. The interiors feature a 3-bench interior layout that makes it an excellent couples car. Featuring wood bars, fiber optic lighting in and around the bars with twilight effect lighting set into the mirrored ceiling. There is an 11” television with DVD, and a CD player with a high output surround stereo system which makes it a nice, inexpensive choice for any occasion.